SI-TECH, Inc., has international experience with customer accounts all over the world. SI-TECH has direct sales representatives in France, Israel, Italy, and Australia. We also have sales representatives in Taiwan. In addition, SI-TECH also has clientele in Belgium, Canada, Japan, Korea, Maylasia, Portugal, Spain, Switzerland, Thailand, and the United Kingdom. Si-TECH, INC. has established accounts with BAX Global, DHL, FedEx, and UPS. We also work with several export companies. 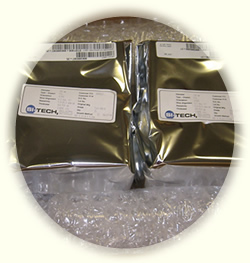 SI-TECH can accomodate any special shipping instructions that you may have for your order. In addition, SI-TECH can deliver material within several days of receiving an order, even internationally. With telephone, facsimile, and email capabilities, SI-TECH can usually respond to customer inquiries within 24 hours of receipt of request. Please use our Customer Action Request form for any inquiries you may have about our products or services.